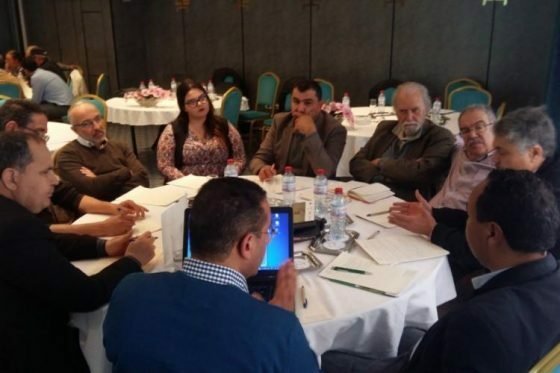 The representatives of more than 10 public administrations and agencies representing a wide range of agricultural institutions, farmers and farmers associations attended a round table to discuss the milestones for further development of Conservation Agriculture in Tunisia, held in Tunis on 16 March 2017. The workshop was organized by ICARDA, jointly with IRESA-Tunisia (Agricultural Research and Higher Education Institution) within the frame of the Global Futures and Strategic Foresight project of the CGIAR Research Program on Policies, Institution and Markets. Conservation agriculture (CA) is a system-based practice combining no mechanical tillage, permanent soil surface cover, crop diversification and use of adequate crop sequences. Read More.